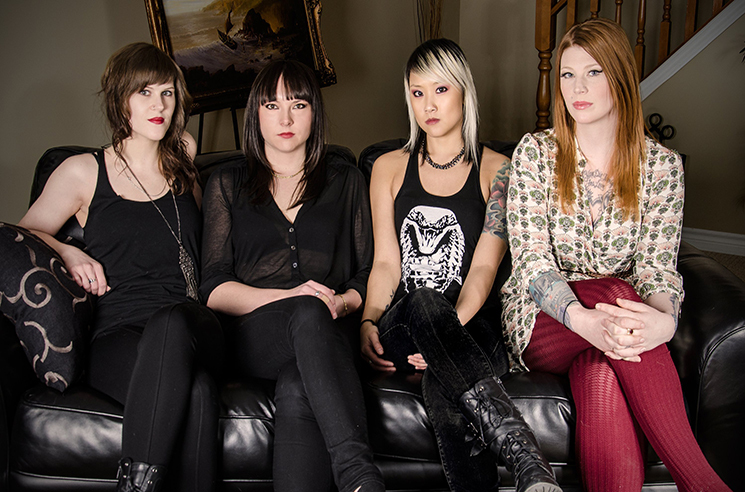 Ontario metal vets Kittie have been quiet of late, and if you've been wondering why that is, vocalist/guitarist Morgan Lander has offered up an explanation. An interview with the artist has her confirming that things have slowed down for the act since wrapping up the promotion cycle behind I've Failed You, further describing the relative lack of action and status of the band as "kind of complicated." Reasons behind the downtime are apparently financially minded, with a lack of band income leading to members focusing on careers outside music. "I don't want to say we're on hiatus, because we technically are still talking about things, working on things, thinking about potential shows, ideas for the future," Lander told London Groove Machine [via Blabbermouth]. "I guess, to put it plainly, it came to a point where doing the band full time became too much financially, especially touring in the States. There just isn't enough demand or money for us to support ourselves fully with the band. We haven't broken up or anything like that. It's just we decided that focusing on other career choices were equally as important at this time." Lander mentioned in the interview that she's currently working a marketing job for a chain of fitness clubs, while her sister, drummer Mercedes Lander, is working in real estate. Though the band raised $40,000 in an Indiegogo campaign, with profits going towards a 20th anniversary DVD and a tell-all book about the history of the band, Morgan Lander says she still feels Kittie can't survive as a full-time band in the current climate. She added: "Even if we toured nine months out of the year, it's not enough to pay our bills. Even having to do things like pay for accountants and lawyers and that sort of thing. It just started to become overwhelming, and it's like it's time to try to make some money other ways, so that maybe we can continue with the band and put that money we've made into it." An ETA has yet to be delivered behind the Kittie documentary, or the band biography to be written by journalist/author Mark Eglinton, but you can see a recent trailer behind the projects down below.